1. The empty set and the set itself belong to . 2. Any finite or infinite union of members of also belongs to . 3. The intersection of any finite number of members of also belongs to . 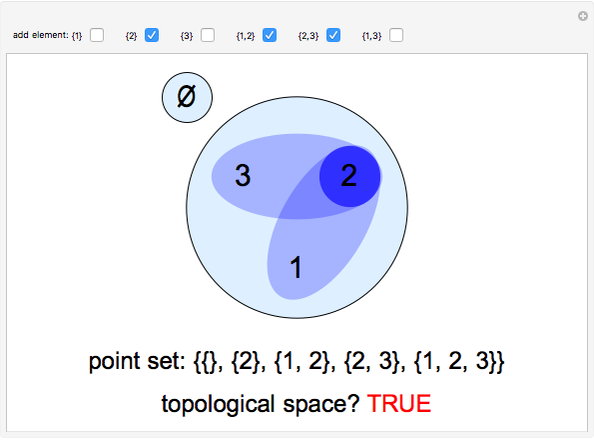 Topological spaces are, of course, usually associated with infinite sets of points. 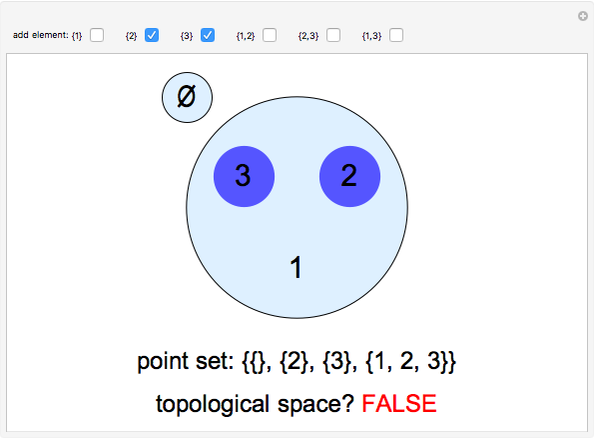 But it is amusing to apply topology to a finite set of points. This Demonstration considers a space , with selected from the power set of three points: , , , , , , and . 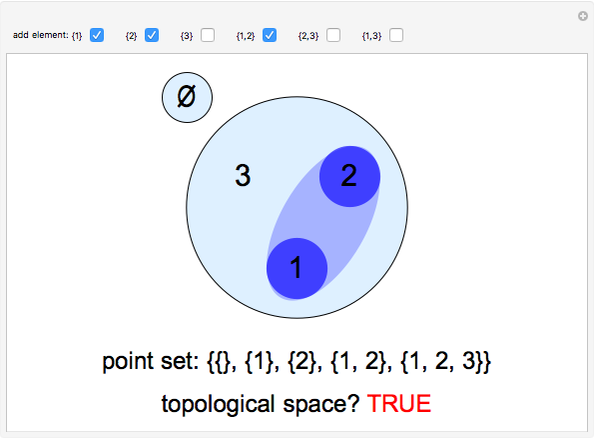 The set is a topological space only if the three conditions listed are satisfied. Wikipedia. "Topological Space." (May 11, 2018) en.wikipedia.org/wiki/Topological_space. S. M. Blinder "Topological Spaces on Three Points"